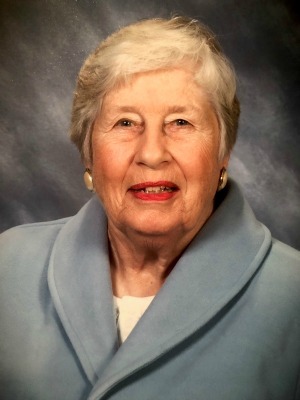 Susan Moedinger Horning, 90, passed away on Monday, September 24, 2018 at Seasons Hospice, Christiana Hospital in Newark, DE. Born in Lancaster, PA on May 24, 1928, she was the daughter of J. Russell and Susan (Paulus) Moedinger, and the wife of the late David Arthur Horning. Susan was a member of the graduating Class of 1946 from J. P. McCaskey High School. She attended MacMurray College in Jacksonville, Illinois and transferred in 1948 to the University of Michigan where she graduated in 1950 and earned a degree in Physical Education. Mrs. Horning was a long-time member of First United Methodist Church in Lancaster where she married David Arthur Horning, of Lancaster, there on June 21, 1952. Afterward they lived in Pittsburgh, Cincinnati, Connersville, IN, back to Pittsburgh and Trappe, MD. She spent the last nearly 6 years of her life at Cadia Pike Creek in Delaware. Mrs. Horning began her career at Winchester Thurston School in Pittsburgh until starting a family. She was an active mother, wife, grandmother and homemaker the rest of her life. Susan loved golf, tennis, paddle, bridge and travel throughout her life. She is survived and is loved by three sons: David Horning, Jr., husband of Mary of Pittsburgh, PA, Paul Horning, husband of Lori of Devon, PA and Andrew Horning, husband of Lisa of Berwyn, PA; Five Grandchildren: Katelyn, C.J., Molly, Julianna and Blair, and her sister, Peggy Schneebeli of Lancaster. Relatives and friends are respectfully invited to attend a Memorial Service at DeBord Snyder Funeral Home, 141 E. Orange St., Lancaster, PA on Monday October 8th, 2018 at 11:00 a.m. The family will greet friends at the funeral home from 10:00 a.m. until the time of service. Private interment in Woodward Hill Cemetery will take place at the convenience of the family.